Natasha is an accomplished business professional with over 15 years of experience in sales, real estate investing and property management. Whether you are buying or selling your home, Natasha will provide comfort and a keen listening ear to put her knowledge of the ever-changing real estate market to work. She is focused on delivering a one-on-one experience with a high-level of client care. 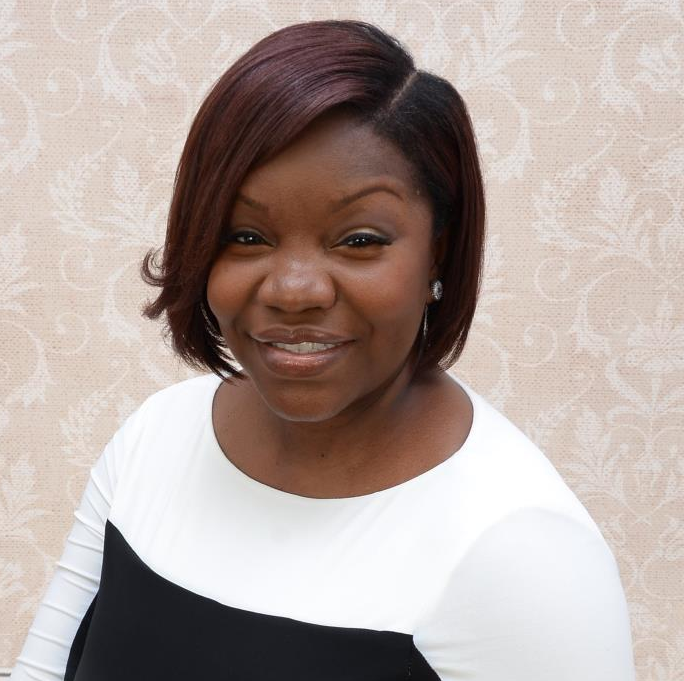 Natasha is the proud team leader of The Garden State Moves Group (The GSM Group). Her team is dedicated to providing exceptional, personalized service to all of their clients. They understand that buying or selling a home is more than just a transaction: it’s a life-changing event. Providing loyalty, accountability and care through every step of the transaction is paramount for The GSM Group. Natasha feels extremely fortunate to be a part of a profession that allows her to combine her passion for helping people with her love for real estate. She is a graduate of Rutgers University with a Bachelor’s degree in Supply Chain Management, and loves to travel and spend time with her family. All Aberdeen Twp. Alexandria Twp. Allamuchy Twp. Allendale Boro Alpha Boro Alpine Boro Andover Boro Andover Twp. Asbury Park City Atlantic City Avalon Boro Barnegat Twp. Barrington Boro Bay Head Boro Bayonne City Bedminster Twp. Belleville Twp. Belvidere Twp. Bergenfield Boro Berkeley Heights Twp. Berkeley Twp. Bernards Twp. Bernardsville Boro Bethlehem Twp. Beverly City Blairstown Twp. Bloomfield Twp. Bloomingdale Boro Bloomsbury Boro Bogota Boro Boonton Town Boonton Twp. Bordentown Twp. Bound Brook Boro Branchburg Twp. Branchville Boro Brick Twp. Bridgewater Twp. Brielle Boro Brigantine City Buena Vista Twp. Butler Boro Byram Twp. Caldwell Boro Twp. Califon Boro Carlstadt Boro Carneys Point Twp. Carteret Boro Cedar Grove Twp. Chatham Boro Chatham Twp. Cherry Hill Twp. Chester Boro Chester Twp. Chesterfield Twp. City Of Orange Twp. Clark Twp. Clayton Boro Cliffside Park Boro Clifton City Clinton Town Clinton Twp. Closter Boro Colts Neck Twp. Cranbury Twp. Cranford Twp. Cresskill Boro Delanco Twp. Delaware Twp. Demarest Boro Denville Twp. Dover Town Dumont Boro Dunellen Boro East Amwell Twp. East Brunswick Twp. East Hanover Twp. East Newark Boro East Orange City East Rutherford Boro East Windsor Twp. Eatontown Boro Edgewater Boro Edgewater Park Twp. Edison Twp. Egg Harbor Twp. Elizabeth City Elmwood Park Boro Emerson Boro Englewood City Englewood Cliffs Boro Essex Fells Twp. Evesham Twp. Ewing Twp. Fair Lawn Boro Fairfield Twp. Fairview Boro Fanwood Boro Far Hills Boro Flemington Boro Florence Twp. Florham Park Boro Fort Lee Boro Frankford Twp. Franklin Boro Franklin Lakes Boro Franklin Twp. Fredon Twp. Freehold Boro Freehold Twp. Frelinghuysen Twp. Frenchtown Boro Galloway Twp. Garfield City Garwood Boro Glassboro Boro Glen Gardner Boro Glen Ridge Boro Twp. Glen Rock Boro Gloucester Twp. Green Brook Twp. Green Twp. Greenwich Twp. Greenwood Lake Guttenberg Town Hackensack City Hackettstown Town Haledon Boro Hamburg Boro Hamilton Twp. Hampton Boro Hampton Twp. Hanover Twp. Harding Twp. Hardwick Twp. Hardyston Twp. Harmony Twp. Harrington Park Boro Harrison Town Harvey Cedars Boro Hasbrouck Heights Boro Haworth Boro Hawthorne Boro Hazlet Twp. Helmetta Boro High Bridge Boro Highland Park Boro Highlands Boro Hillsborough Twp. Hillsdale Boro Hillside Twp. Hoboken City Hohokus Boro Holland Twp. Holmdel Twp. Hopatcong Boro Hope Twp. Hopewell Boro Hopewell Twp. Howell Twp. Independence Twp. Irvington Twp. Jackson Twp. Jamesburg Boro Jefferson Twp. Jersey City Kearny Town Kenilworth Boro Keyport Boro Kingwood Twp. Kinnelon Boro Knowlton Twp. Lacey Twp. Lafayette Twp. Lakewood Twp. Lambertville City Lawrence Twp. Lebanon Boro Lebanon Twp. Leonia Boro Liberty Twp. Lincoln Park Boro Linden City Little Egg Harbor Twp. Little Falls Twp. Little Ferry Boro Livingston Twp. Lodi Boro Long Beach Twp. Long Branch City Long Hill Twp. Lopatcong Twp. Lyndhurst Twp. Madison Boro Mahwah Twp. Manalapan Twp. Manchester Twp. Mannington Twp. Mansfield Twp. Mantoloking Boro Mantua Twp. Manville Boro Maplewood Twp. Marlboro Twp. Marlton. Matawan Boro Maywood Boro Mendham Boro Mendham Twp. Metuchen Boro Middlesex Boro Middletown Twp. Midland Park Boro Milford Boro Millburn Twp. Millstone Boro Millstone Twp. Milltown Boro Millville City Mine Hill Twp. Monmouth Beach Boro Monroe Twp. Montague Twp. Montclair Twp. Montgomery Twp. Montvale Boro Montville Twp. Moonachie Boro Morris Plains Boro Morris Twp. Morristown Town Mount Arlington Boro Mount Olive Twp. Mountain Lakes Boro Mountainside Boro Neptune Twp. Netcong Boro New Brunswick City New Milford Boro New Providence Boro Newark City Newton Town North Arlington Boro North Bergen Twp. North Brunswick Twp. North Caldwell Boro North Haledon Boro North Plainfield Boro Northvale Boro Norwood Boro Nutley Twp. Oakland Boro Ocean Twp. Ogdensburg Boro Old Bridge Twp. Old Tappan Boro Oradell Boro Other Oxford Twp. Palisades Park Boro Paramus Boro Park Ridge Boro Parsippany-Troy Hills Twp. Passaic City Paterson City Peapack Gladstone Boro Pemberton Twp. Pennington Boro Penns Grove Boro Pennsauken Twp. Pennsville Twp. Pennsylvania Pequannock Twp. Perth Amboy City Phillipsburg Town Piscataway Twp. Plainfield City Plainsboro Twp. Pohatcong Twp. Point Pleasant Boro Pompton Lakes Boro Princeton Twp. Prospect Park Boro Rahway City Ramsey Boro Randolph Twp. Raritan Boro Raritan Twp. Readington Twp. Red Bank Boro Ridgefield Boro Ridgefield Park Village Ridgewood Village Ringwood Boro River Edge Boro River Vale Twp. Riverdale Boro Rochelle Park Twp. Rockaway Boro Rockaway Twp. Rocky Hill Boro Roseland Boro Roselle Boro Roselle Park Boro Roxbury Twp. Rutherford Boro Saddle Brook Twp. Saddle River Boro Salem City Sandyston Twp. Sayreville Boro Scotch Plains Twp. Seaside Heights Boro Seaside Park Boro Secaucus Town Somerville Boro South Amboy City South Bound Brook Boro South Brunswick Twp. South Hackensack Twp. South Orange Village Twp. South Plainfield Boro South River Boro Sparta Twp. Spotswood Boro Springfield Twp. Stafford Twp. Stanhope Boro Stillwater Twp. Stockton Boro Summit City Sussex Boro Teaneck Twp. Tenafly Boro Tewksbury Twp. Tinton Falls Boro Toms River Township Totowa Boro Trenton City Union City Union Twp. Upper Freehold Twp. Upper Saddle River Boro Vernon Twp. Verona Twp. Victory Gardens Boro Vineland City Waldwick Boro Wall Twp. Wallington Boro Wanaque Boro Wantage Twp. Warren Twp. Washington Boro Washington Twp. Watchung Boro Wayne Twp. Weehawken Twp. West Amwell Twp. West Caldwell Twp. West Milford Twp. West New York Town West Orange Twp. West Windsor Twp. Westfield Town Westwood Boro Wharton Boro White Twp. Willingboro Twp. Wood-Ridge Boro Woodbridge Twp. Woodcliff Lake Boro Woodland Park Wyckoff Twp.